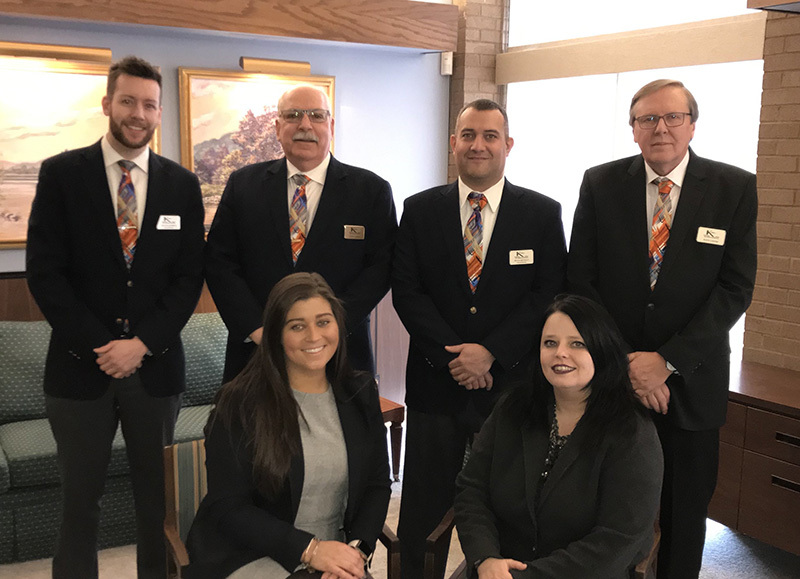 Community Cremation Services is attached to the Kurrus Funeral Home and operated by the Kurrus Family. All cremations will be handled by Licensed Technicians that have been certified by the Cremation Association of North America. Upon receiving your loved ones remains, a Stainless Steel Coin with an engraved ID number will be placed with them and remain throughout the cremation process. The coin is then returned with the cremated remains. If a person dies in Illinois, the Illinois law states that no individual may be cremated until 24 hours after death and that all proper paperwork and permits be filed with state agencies before cremation occurs. Community Cremation Services does not provide long term custodial care for bodies or cremated remains. Unless previously authorized by the deceased, in accordance with applicable state law, no cremation may take place without written authorization of the next of kin or legal representative of the deceased. The next of kin is the person or persons described in the following order: 1. Surviving spouse; 2. Person designated as executor; 3. Surviving adult children; 4. Surviving parents; 5. Surviving siblings; 6. Surviving aunts/uncles; 7. Surviving first cousins. Each body will be cremated separately. No unidentified body will be accepted for cremation. Any items placed with the decedents body, will be cremated, so please be sure all personal possessions not wished to be cremated have been removed. The cremation process simply reduces the decedents body to cremated remains of several pounds (8 to 10). The volume usually ranges between 125 to 200 cubic inches (1 to 1.5 Quarts). Cremation is performed by placing the body into a retort (enclosed unit lined with Brick and concrete) and the temperature is then raised to approximately 1500 1600 degrees Fahrenheit and the body will be totally and irreversibly destroyed by prolonged exposure to intense heat and direct flame. Upon completion of this cycle, all substances are consumed or driven off, except bone fragments (calcium compounds), metals (including dental fillings of gold or silver), and other nonhuman materials. The cremated remains (consisting of bone fragments, other materials, metals, etc.) are then raked from the chamber. The cremated remains will then be separated. They may be affixed with some bone fragments or other human residue, and these materials will be disposed of by the crematory in an unrecoverable manner. The cremated remains are then mechanically processed (pulverized). Once processed, the cremated remains are placed in a temporary container or a suitable container that was purchased or provided for the cremated remains. In the event the capacity of the urn or other container is insufficient to accommodate all of the remains of the deceased, the remainder will be placed in a temporary container and returned to the family if requested. Kurrus makes a prudent effort to remove and recover all of the cremated remains from the crematory chamber, processing equipment and other tools or containers, It is impossible to remove or recover all cremated remains, as some bone particles and other human residue will remain on or within the equipment. It is further impossible to guarantee or warrant that some bone particles or other residue could possibly be comingled with those of previously cremated remains. If this does not answer all your questions about the cremation process, Mr. Kurrus has an open door policy to anyone during normal business hours. Please feel free to call or stop by for a tour of our facility or further explanation of the cremation process.